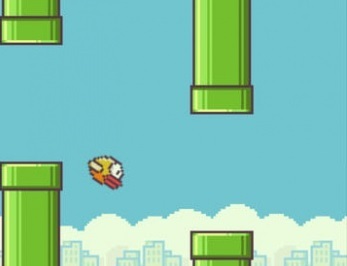 As clones flood app marketplaces, the word "flappy" is getting apps yanked. Oh Flappy Bird, we hardly knew ye. Even though the actually game was pulled by its creator before many people ever got to give it a try, its spirit lives on in the hundreds of imitators that now follow in its wake. While some are honest tributes, most are naked cash grabs that are simply flooding app stores. Games like Flappy Super Hero, Flappy Flyer, and Flappy Plane all happily sit atop best selling lists. Now, both Apple and Google are rejecting new games which use the word "flappy" for leveraging a popular app , even if the official game no longer exists. It started when Ken Carpenter of Mind Juice Media posted an angry tweet saying that his game, Flappy Dragon, had been rejected by Apple. The stated reason was that the "name attempts to leverage a popular app," violating the app submission guidelines. It's not just Apple, as he was also rejected from the Google Play store as well, which didn't even offer an explanation. He's not the only one, as many other developers are publicly complaining that their Flappy clones are also getting rejected. So far, it doesn't seem to be the games themselves that are the issue, only the use of the Flappy name. It wouldn't be that odd of a case if it wasn't for the fact that aside from a few over-priced devices, Flappy Bird doesn't exist any more. Regardless, I think it's safe to say that the world has currently reached the peak of Flappy saturation, for better or worse. Probably worse.